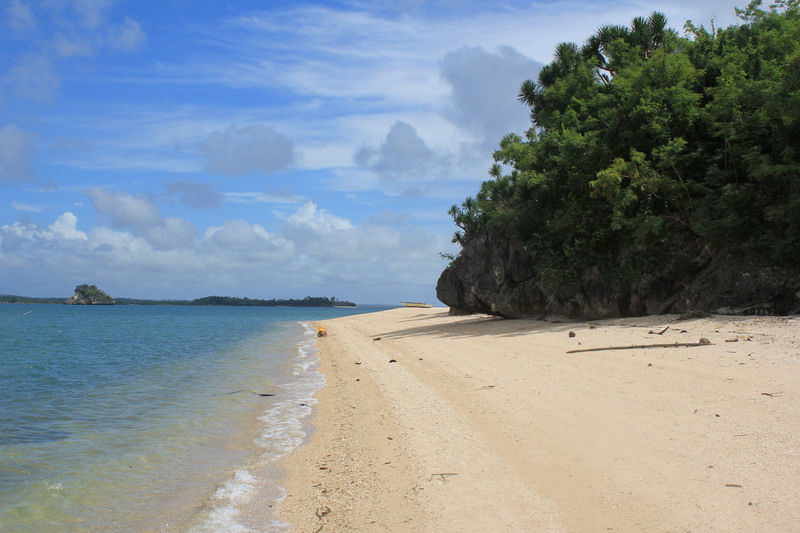 Borawan Island is located on Paglibao Chica Island and takes its name after Boracay Island and Palawan (hence Borawan). 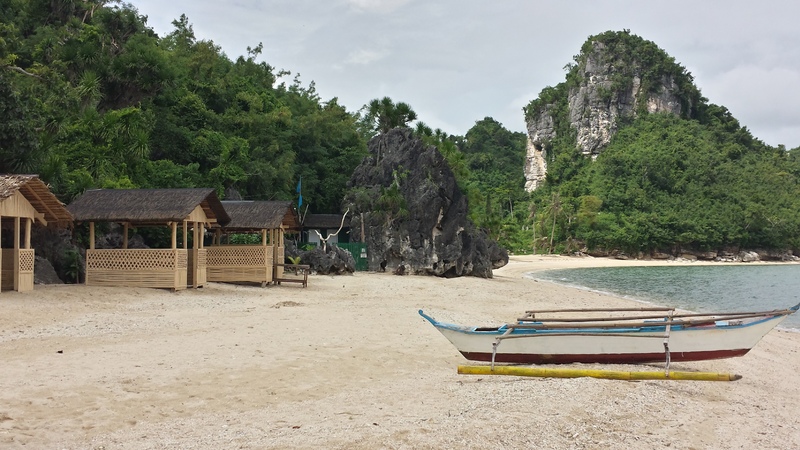 With glorious white sand beaches to match Boracay and towering limestone karsts to match Palawan, Borawan is a very apt name for this slice of paradise, which is amazingly close to Metro Manila (160kms). There have been a lot of things written about Borawan, some good, some not good, but we had a great experience there in 2014. The beach and the water were clean, the locals were friendly and we really enjoyed ourselves. I would go back there in a heartbeat, especially before it becomes too popular with other tourists! Borawan doesn’t have any accommodation, but there are toilets (not well maintained), small cottages/huts for hire and also a small kiosk selling snacks, drinks, cigarettes etc. However, it is recommended to take your own supplies, which is what we did. The boatmen were more than obliging to help lift our supplies off and on the boat at each stop throughout the day. They also have security guards on the island for that extra level of comfort, particularly for those wishing to camp overnight. Please be warned, there are jellyfish in the area during certain times of the year, so please check with the boat captain or the security guards if it’s safe to swim. With an early start and your own vehicle, you can visit Borawan Island and neighbouring Puting Buhangin, and Dampalitan Island all in a single day. However, it is recommended to stay overnight, and why not in these glorious surrounds. If so, you can either camp at Borawan Island, or stay at The Tamarind Tree Resort, which is one of the very few places to stay around this area. 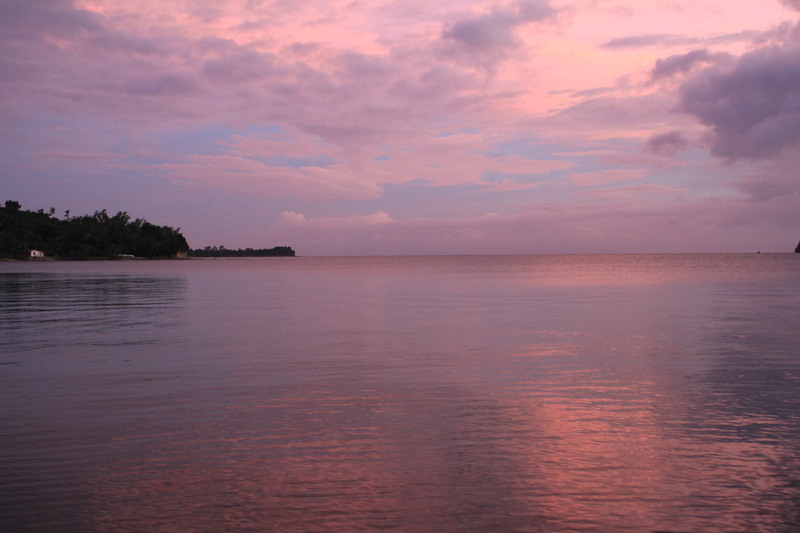 This is also the best location to set off via boat for your island adventure. A view of Borawan looking west from the famous lookout rocks. It really is an amazing scene. 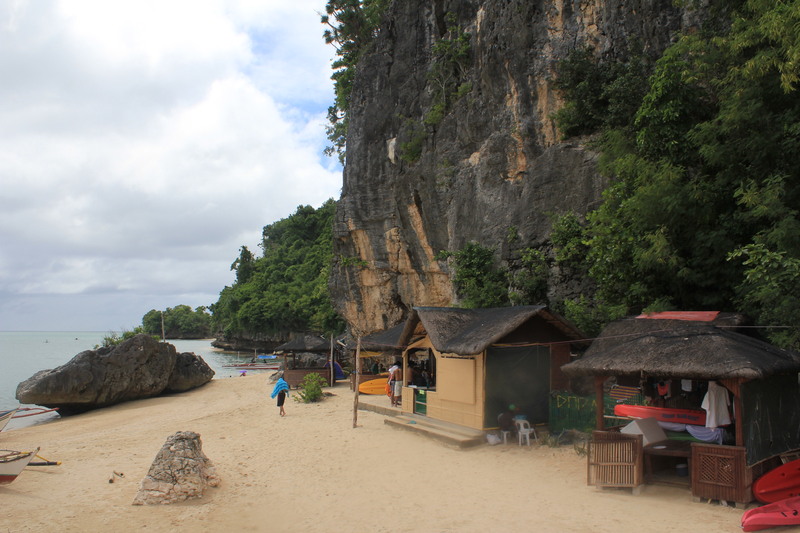 A view on the more secluded east side of the beach with a giant limestone karst rising up from the shoreline. Looking south from the eastern side of the island. Relaxing here with a picnic lunch and a few beers is an experience I will never forget. A jungle of palm trees providing some much-needed shade after spending the morning exploring the island. There aren’t too many better ways to enjoy the day than sitting in one of these cottages with a picnic lunch and a few beers. The good thing about them is you don’t need to bring anything aside from food and beers. This sunset was one of the most epic sunsets I have ever seen. One of the good things about this area is that it faces westwards so you can catch the spectacular sunsets. 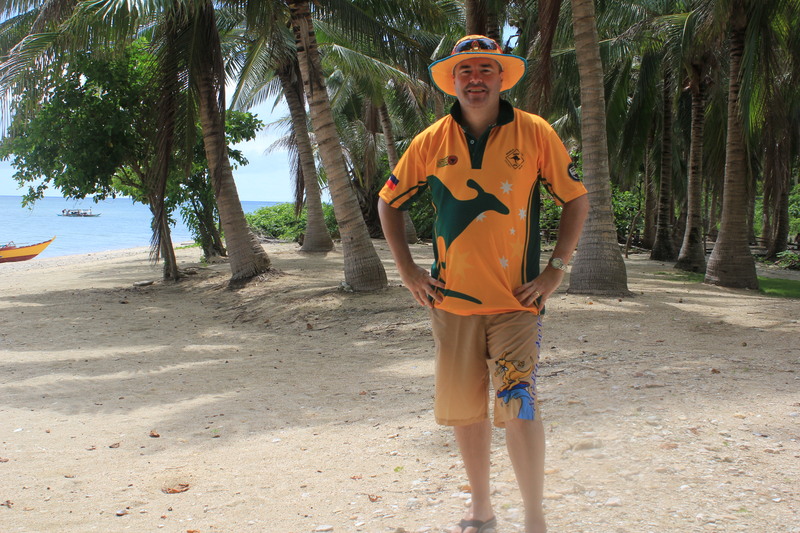 This photo was taken on the beach near Tamarind Tree Resort. From Makati, take the SLEX and STAR tollway, and via Lipa City, head to Lucena City on the Pan Philippine Highway. From Lucena, head to Paglibao and continue through to Padre Burgos on the way to Agdangan. 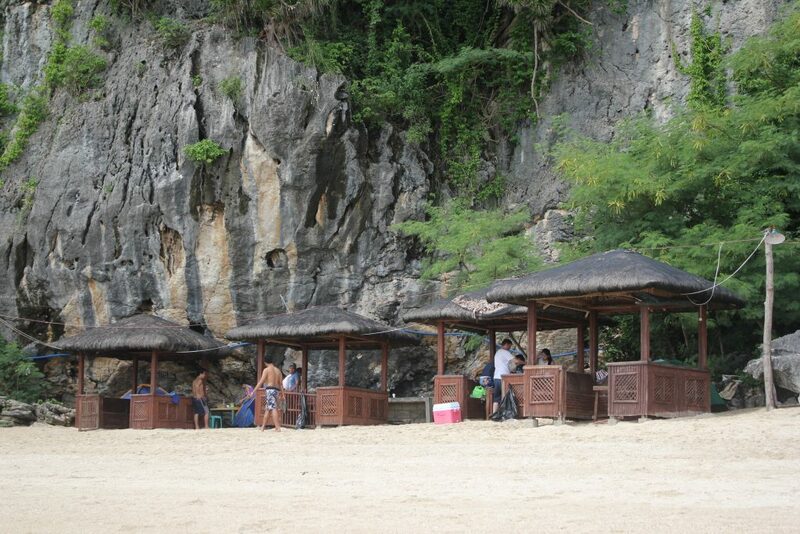 The Tamarind Tree Resort, in Padre Burgos, is right down beside Paglibao Bay, about 180km from Manila. This drive takes about 3.5 to 4 hours. From Buendia in Makati, take a bus to Lucena City, and get off at the Lucena Grand Terminal, which will take about 3 hours. The Tamarind Tree Resort (in Padre Burgos), is about 35kms from there. At Lucena terminal take, another bus going to Unisan or a jeepney bound for Agdangan, but be sure to get off at Barangay Basiao in Padre Burgos (look for QCRB Bank). From there, you will need a tricycle to The Tamarind Tree Resort. Cost for Bus/Jeepney/Tricycle: Allow P500-600. My suggestion would be to head down from Manila aiming to arrive around midday at The Tamarind Tree Resort, chill out there for the afternoon, then head out first thing the next morning on the boat, and then head back to Manila that night. You can do Borawan, Puting Buhangin and Dampalitan Island all in one day. From The Tamarind Tree Resort, it is easy enough to hire a boat for the day (approx. P1800, good for 6 to 8 pax), which will allow you to experience the wonders of Borawan Island, Puting Buhangin and Dampalitan Island in one hit.